Damon Braces are the same size as metal braces but use a specialized clip in place of elastics to help the archwire guide teeth to place. The clip helps reduce the amount of pressure on the tooth and requires fewer adjustments because there are no elastics to replace. Two Phase Orthodontics for Children is a specialized orthodontic process that involves two phases of treatment — with the first phase beginning when your child still has remaining primary (baby) teeth, and the adult teeth are beginning to erupt into the mouth. Phase two treatment begins once all of the adult teeth have erupted into the mouth. Damon Braces are often used during the second phase of treatment. To learn more about our SE Calgary Damon Braces, please schedule your consultation with Dr. Angela Sharma today! 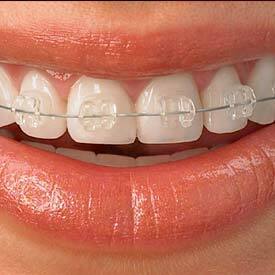 Call us at (403) 460-2200 to book your Damon Braces Consultation with us today!